Downpours and snow melt swelled rivers and creeks across the region. 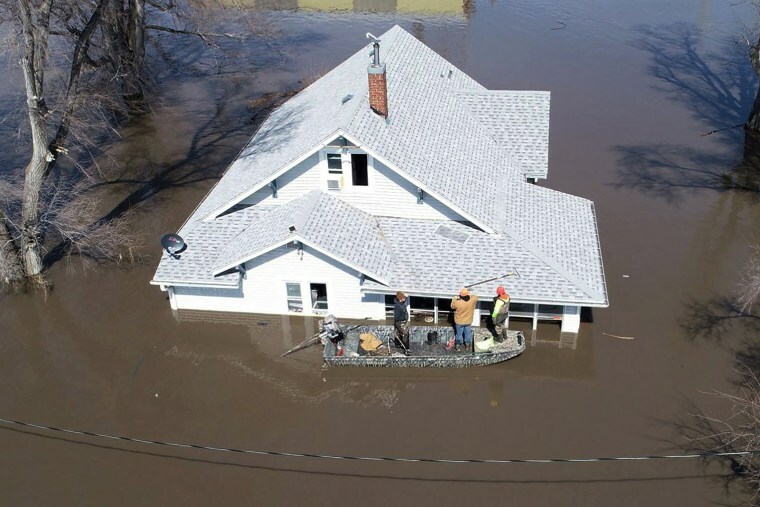 A home is surrounded by floodwaters from the Pecatonica River on March 18, 2019. 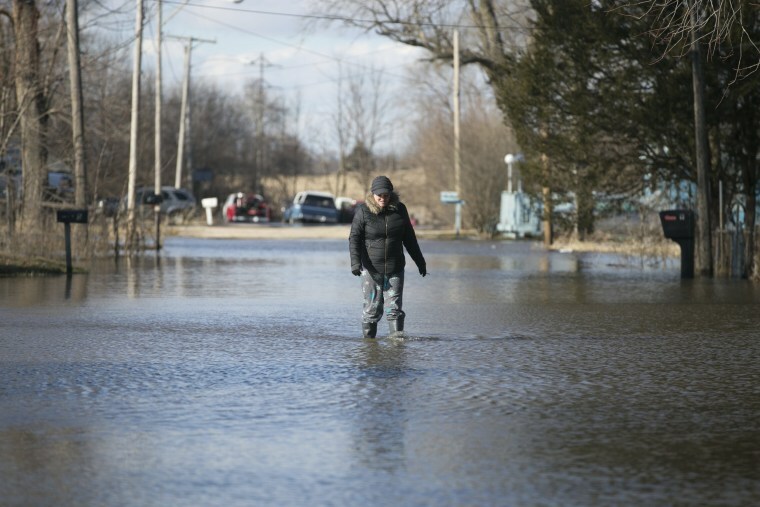 Several Midwest states are battling some of the worst flooding they have experienced in decades as warming weather, rain and snow melt from the recent "bomb cyclone" has inundated rivers and streams. 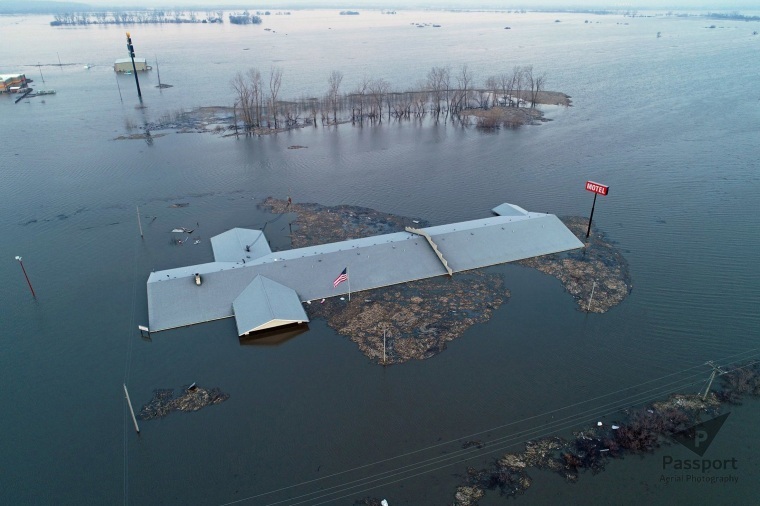 The roof of the Bluff View Motel is all that is visible above floodwaters from the Missouri River on March 18. 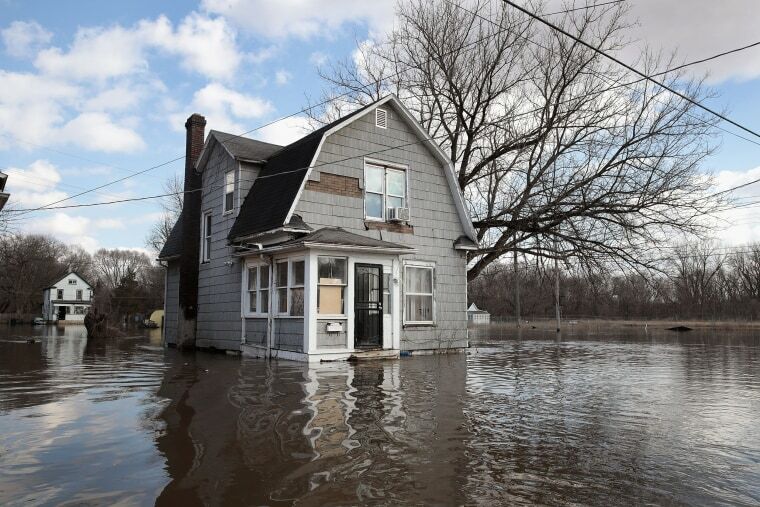 Nearly half of Iowa's counties have been declared disaster areas. 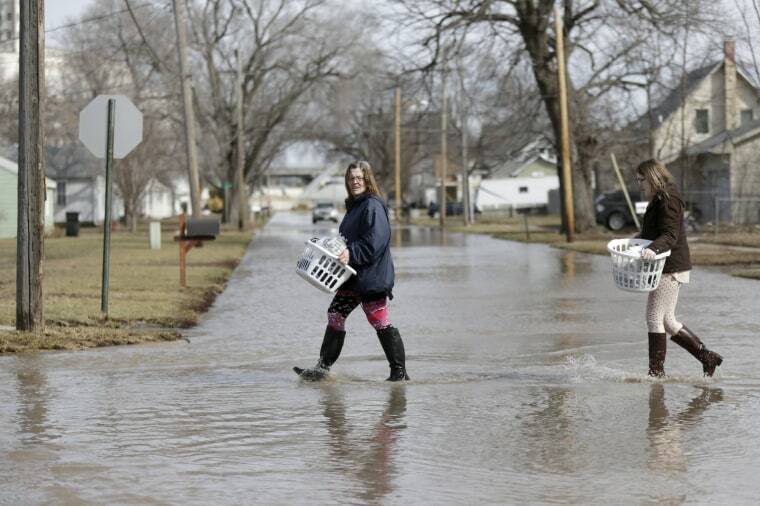 Akashi Haynes and her daughter Tabitha Viers carry belongings rescued from their flooded home on March 18. 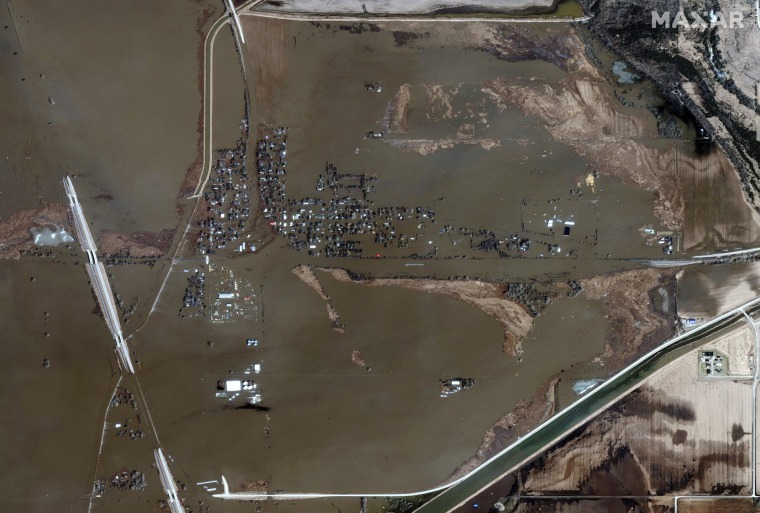 A satellite image shows the extent of the flooding on March 18. 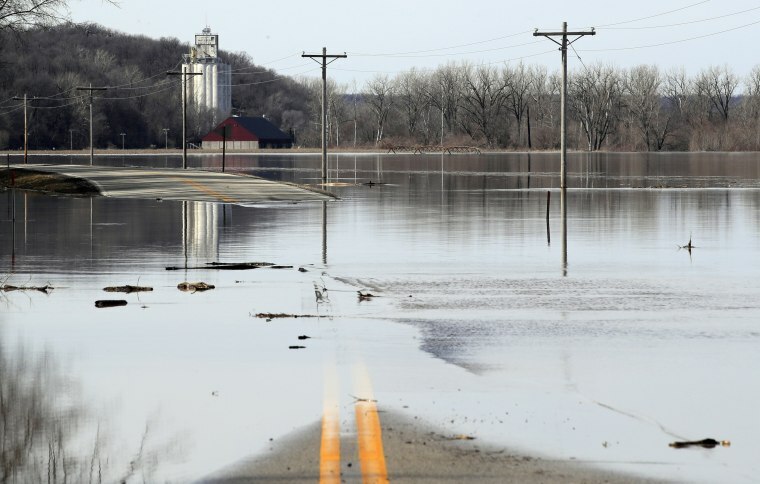 The Missouri River floods across the K-7 highway on March 18. A team from Muddy Paws Second Chance Rescue enter a flooded house to pull out several cats on March 18. 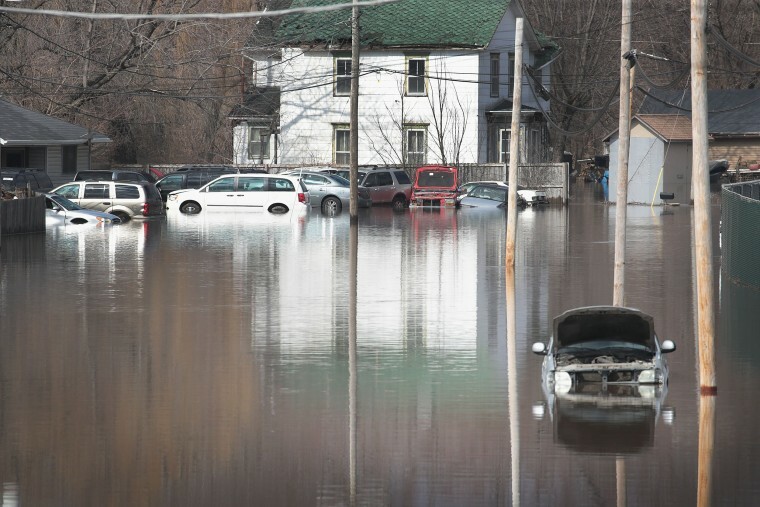 Cars sit in floodwaters from the Pecatonica River on March 18. 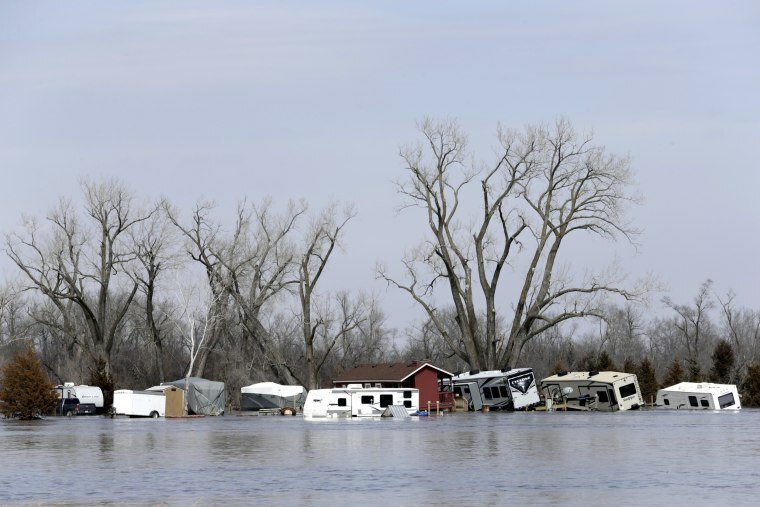 Campers and trailers washed away by the floodwaters of the Platte River at Merritt's RV Park on March 17. 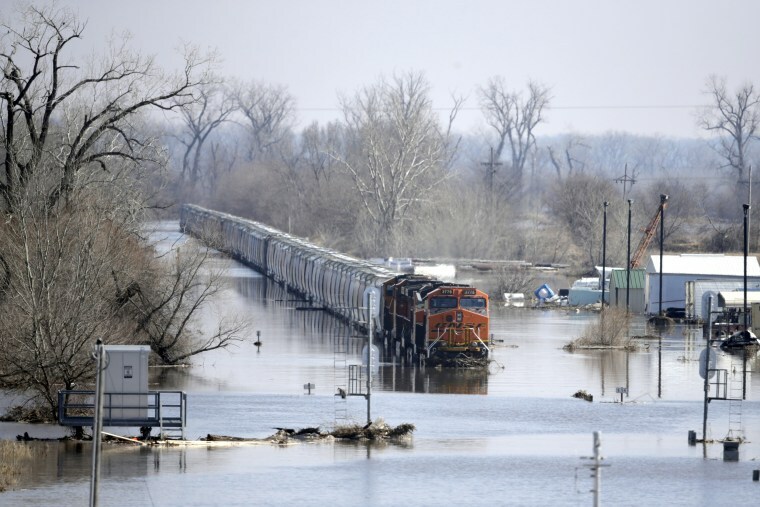 A BNSF train sits in flood waters from the Platte River on March 17. 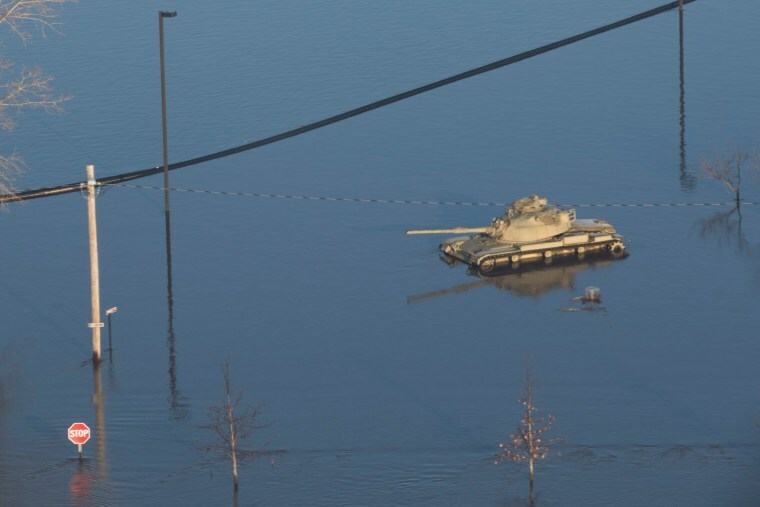 A tank surrounded by floodwaters at Camp Ashland, an Army National Guard facility, on March 17. 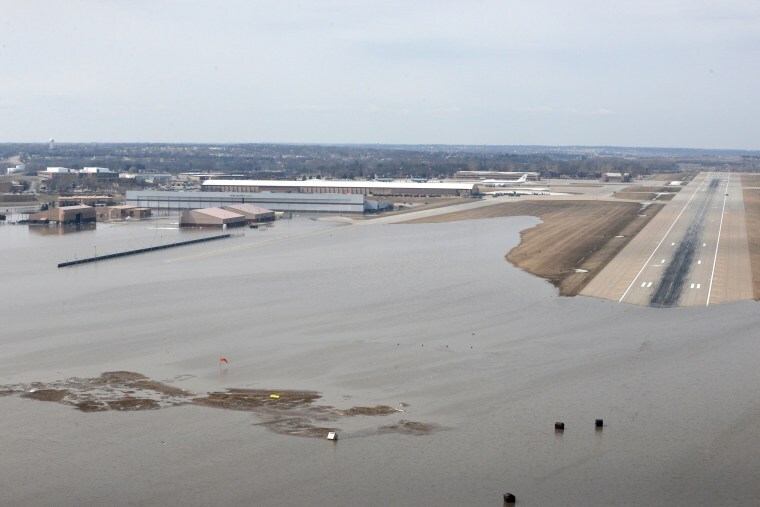 A runway ends in floodwaters on March 16. 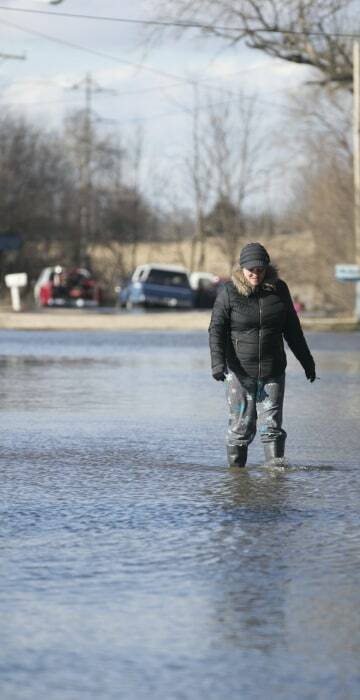 Allyson Hartman walks down flooded Louis Lane on March 15.